In the last blog post, we were extremely pleased to disclose how the role of admins in the university has got much easier. We’re happy to know that these features have been welcomed at your end as well. Well the party doesn’t stop with just that. We’ve been maximizing our efforts to make AdaptiveU more functional at one end while keeping it simple and amazing on the other end. Just when you thought that there were no more surprises, we’re buzzed to announce more features that are available exclusively to meet your requirements. Every institution created at AdaptiveU requires a special mark in the cloud. We took that literally and opened up an avenue where your online University comes up with its very own landing page. This page is loaded with provisions to attach a University logo and a banner picture in the visual section. You can also include a short synopsis that outlines the goals and ideals of your institution. The page comes equipped with a space to include the pictures of the the instructors along with their biography that covers anything from their education to their experience. We give you a page, a page which you can tune to your imagination . 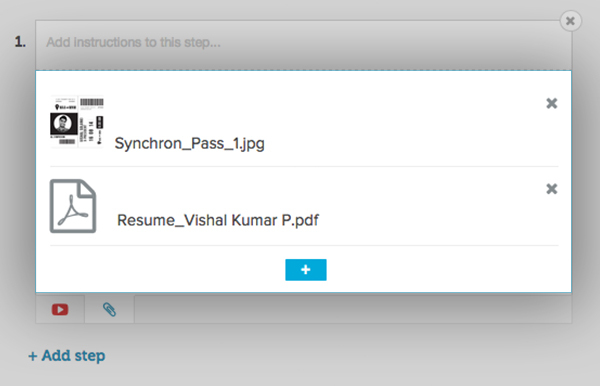 Previously, you could attach files to in the instruction steps of a challenge directly. Now you can go ahead and add files directly to a challenge. This feature is helpful in cases when a challenge contains multiple components. With this feature intact, you can go on and add files that belong to any type so that you can add more substance to your challenge. Pack your online university with challenges that never run dry. We’ve given you two amazing features to try out and we hope that you’ll take up on the offer. So let us know how well the addition of these two features scaled your expectations. Do drop in to us at support@adaptiveyou.com and let us know your thoughts, opinions and suggestions. That is it from us, we’re back to wearing our thinking hats in hopes to roll out many more updates so that you will enjoy using AdaptiveU and grow along with us. Start with AdaptiveU today.